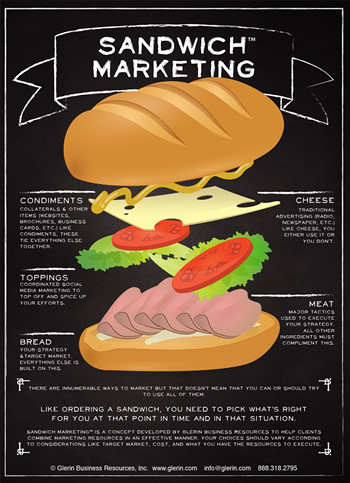 Planning a marketing campaign can be overwhelming. What are your goals and strategies? Target market? Which tactics will you be using? How will you decide on website content, collaterals, and social media channels? Think of it like making a sandwich. There are lots of toppings, breads, meats, and condiments, but you don't put everything at once on your sandwich. Instead, you choose what fits your hunger level, your mood, and your budget. It's the same in marketing; you choose what targets your perfect customer, helps you reach your goals, and fits your budget.